As 2019 starts, I have had numerous conversations and input regarding Hotline Operator and Intake Worker interviewing and their preparation to be optimally effective. These conversations have caused me pause and motivated me to seek additional observations from my connections on several points. The input has come from private sector and government organizations of various sizes and exposure. It is very clear that tips are by far the most common means of initial fraud detection, according to the Association of Certified Fraud Examiners’ (ACFE) 2016 Report to the Nations. The ACFE reports that other means pale in comparison for initial fraud detection compared to tips. 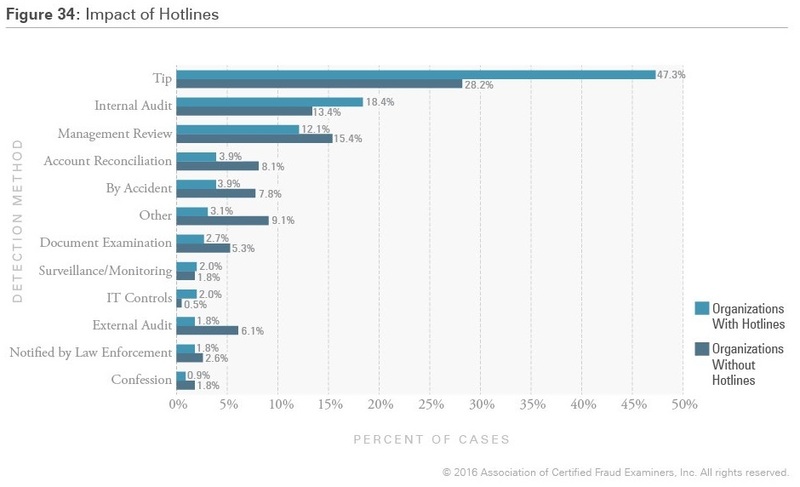 In addition, the ACFE found that those organizations that have a fraud hotline in place experienced losses that were 50 percent smaller than those that did not, and further the duration of the fraud was one half the time when a hotline was in place. Clearly, the empirical data supports the cost effectiveness and functional efficacy of fraud hotlines. 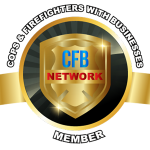 The value in the fraud arena can be extrapolated to ethics, investigation, and any type of compliance hotlines. There is an apparent void in training that, if corrected, would allow for optimization of these positions and make them more effective and adept at facilitating complete investigations. We give these units responsibility for the initial contact and interaction with complainants and witnesses to the works of our organizations. But are we getting all we can from these interactions? Have we prepared our personnel adequately? Organizations’ expectations are high regarding these units and their work often serves to initiate investigations and inquiries. Given this fact, we should be maximizing the quality and quantity of information obtained from their interactions. The problem is that many of these contacts are by telephone or email. Considering that this is the case, training is essential to support and promote the valuable work that these employees do. When completing interviews in investigations, audits, and inspections, in-person interviews are, without question, the most revealing and effective method, allowing the interviewer to create quality rapport, ask questions while observing body language and use the full repertoire of techniques to get at the greatest quantity of truthful information. However, a face-to-face, in-person meeting is not possible when it comes to Hotline Operators and Intake Workers. This, however, doesn’t defeat our opportunity to secure more valuable information. Certainly, what we do know about telephone interviews that needs to be said upfront is that they should be done using the same methodology employed for in-person interviews. Given that we lose so many human factor indicators on the telephone with only an audio channel, it is even more essential that we follow our recipe for success deployed when the interviewee is sitting right in front of us. The expectations vary as frequently as the responding entity it seems. I have heard those that want everything obtained from callers and others that just want contact information so someone can get back to the complainant and interview them. Some organizations make their Hotline personnel feel like part of the team and others relegate them to clerical assistants. I have heard from hotline employees that they are given an absolute time limit for the conduct of the call. These management directives are indicative of a misguided attempt at control, and a lack of confidence in their staff. They are extremely short-sighted and show a total misunderstanding of the interview process. With this diversity, there is no wonder the results obtained are vastly divergent. This is a recipe for disaster, and one that I have heard recounted from those in the hotline ranks for years. Lack of consistency is a killer. We are missing a great opportunity here. There are several things that we need to keep in mind regarding the psychology of the caller….why they are calling…and when they are calling. Our Hotline or Intake personnel are the first people this person speaks with. They become the face of the organization. Are our personnel prepared to deploy rapport and establish commonality? The caller has made the contact; hence they are in a state of being willing to talk. Do we facilitate that, or quash it? Remember, the first contact is likely the best contact to effectively elicit information. It’s likely better from a time and space perspective than a later visit from an investigator. Speaking of later visits, the callers stress level is much lower during the call than it would be when that investigator shows up. We know we are more effective at getting quality information when that stress level is minimized. In this call, they didn’t have to come into your office, be faced with a badge, or some big title; things that would raise anxiety and decrease openness. Further, from a time perspective, this call is the closest in proximity to the actual event or incident. It is the best opportunity to get information when memory is maximized. The longer you wait, no matter who completes the interview, the more information is lost. This fact is worsened by the added stress and cognitive load that reduces the quality of received information. There is a need for a multi-pronged approach to the solution. The first is the establishment of a clear, well-defined decision of the need for and approach to a Hotline or Intake Section. Expectations, recognition of the value, and strategic importance needs to be communicated and supported. Ancillary to this is the need for an ongoing training program to prepare these valuable employees for the important function that they complete. That training has numerous components. In the recent two-day program, I developed, interviewing training is imperative, accompanied by training in communication skills, verbal indicators of deception, rapport development, question development to maximize information, investigative writing, interview planning, behavioral issues of callers, and operator stress. Much of this training would provide techniques training that would raise the confidence and competence of attendees, both of which have a marked effect on the ability to effectively elicit information. We must more effectively encourage these workers to feel a part of the team in the resolution of issues. Much like any other operation, I am going to bring in personnel that provide the best chance of maximizing results whether an auditor, technical expert, someone with a different interviewing approach, or in this case a hotline operator who had the first contact with a person in this matter. I have heard in too many cases, these personnel complete this initial contact that begins an investigation, and they never hear anything regarding what happens to that matter. This is a counter-productive and short-sighted result of poor communication that fails to facilitate team building and ultimately results. We need to provide more responsibility to our Hotline and Intake personnel to maximize the information we receive from callers. There are many operational and psychological reasons to do this. As supervisors, managers, and administrators this should cause us to consider what plan of action we have in place to provide adequate training to our onboarding and seasoned employees in these units. The results returned by doing this will repetitively pay for the cost and time committed to this training. Do you agree with the premise expressed here regarding these functions, their impact, training, etc.? What other areas of training need to be provided to maximize performance in the hotline/intake worker areas? Our goal is to research, build, and deploy a Hotline Operator/Intake Worker program that would facilitate change for organizations, optimize employee effectiveness, and minimize systemic damage by strengthening their capabilities.